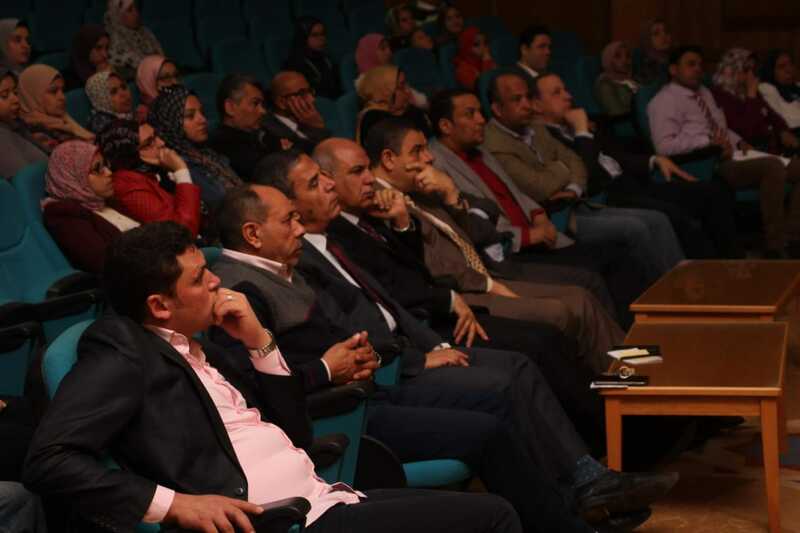 Under the patronage of the President Prof Dr Maged el Kemary, today Saturday, the first events of the President Abed el Fatah el Sisi’s initiative for the discovery of talented and genius students in the various scientific fields has begun in the presence of students of Stem School. The students of Nanotechnology and Sciences Institute represent their ideas and “smart house project”. As well, he adds that the university seeks to expand in applying the initiative in stages to include many forums according to the specialization and the start is for Nanotechnology specializations as it is one of the most important sciences of the future. Otherwise, El Kemary explains the link between artificial intelligence and nanotechnology, pointing to making a difference in labor market over the next five years because of the required skills for employment in the fields of renewable energy and nanotechnology applications in the cultivation and treatment of Cosmetic Dentistry as well as the diagnosis and treatment of tumors by using Nanotechnology, photodynamic therapy for tumors, disposal of carbon dioxide and oil stains in oceans and rivers. These ideas were introduced by using the new material technique in converting thermal energy into electrical energy.